Dr. Marcus D. Blakemore is a ministerial and business visionary, entrepreneurial trailblazer, author philanthropist, and a Life Coach around the globe. Dr. Blakemore love working with people and have a passion about transforming lives. His work is underlined from life challenges, education and spiritual perspectives. Whether it's helping to restore motivation, build confidence, improve relationships, supporting a career change or the start of a new endeavor. Blakemore Ministry, Coaching and Life Strategy Programs are designed to help you achieve your goals and highest potential in life. With the transforming of his own life, Blakemore was raised in a single parent household. He was faced with many childhood challenges. As a third grader, Blakemore lost his father to suicide. That tragedy left behind Blakemore and 2 siblings, who were all only 3 months apart. His sister, Peaches born November 1971, brother Aaron born December 1971, and Blakemore born in January 1972. The loss of his father left a void and it was a confusing time in young Blakemore life. His mother, aunt and grandparents did their best to make clear and answer the questions that often filled his mind. They provided a great balance between, love, discipline and spirituality. His grandfather owned his own business's and was quite successful. He admired him and following high school, he entered college, but later dropped out to pursue a personal dream of owning his own business. With the end of his first marriage and failed business venture, he was determined to continue and move life forward. It was during that time of hardship that he decided to return to the basics of what he was taught as a child, "S & S" spirituality and self-discipline. A great milestone of change came in his life when he met his wife Heather. She was an all-American track athlete at the University of Tennessee. While she was in college she encouraged Blakemore to finish his degree. Graduating college was a major personal achievement for Blakemore and he lost focus on the most important things again. Blakemore began the pursuit of happiness the world's way, "The American Dream". His goals in life became financial security and the pride of life. However, what he really found for himself was a rat race and a delusional environment. Blakemore saw himself back in the same position from his first marriage. His wife and Blakemore was on a downward spiral, their marriage was shattered but not broken. Thankfully, Blakemore came to another awakening; he began to study scripture, pray and become spiritually disciplined instead of spiritual busy and experienced a total transformation in his life. Through that life journey, Blakemore was transformed with a renewed mind and lifestyle. From that he was introduced to positive energy, peace, and wisdom. He now knew the real meaning of surrender, balanced life, success and family. Now Blakemore spend his time sharing secrets of wisdom, keys for reaching the Kingdom, health, family, peace and success Gods way with others. Blakemore has Transformed Lives Worldwide, with an extensive background and training in Sociology, Real Estate, Masters Degree in Religious Education, and a Th.D. in Theology. He loves writing and currently finishing a book of his West African Experience. 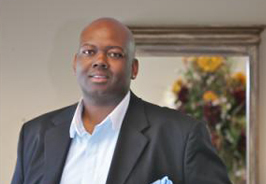 He has contributed written articles for non-profits, churches, business, lifestyle magazines, books and newsletters. As a speaker his team offer informative and dynamic presentations on all aspects of spiritual, professional and personal development.